It’s been almost a year since my review of “World Enough and Time”, but I am at last back with the follow-up episode, “The Doctor Falls”. It was never my intent to vanish for so long, but life threw some curve-balls (an upcoming post will discuss my absence). It’s interesting going back to review an episode so long after it airs, particularly one I enjoy as much as this one. The gap away does, of course, affect my responses. I did make an outline for a review a year ago, and looking back at it now after having just rewatched the episode, there are one or two things on there that I wonder why I bothered including and other things that aren’t there that I question why I didn’t include. 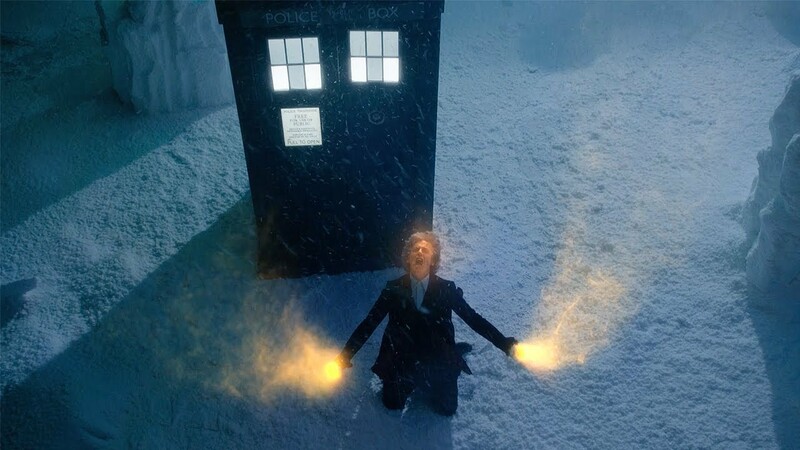 In many ways, I’m glad that there has only been one more episode since this one (“Twice Upon a Time”, the most recent Christmas special), as that means there hasn’t been a whole lot of additional show history that might affect the way I see or review “The Doctor Falls”. As much as I am itching for more Doctor Who, it means that I can still treat this one as relatively new. Before rewatching the episode for this review, I knew I liked “The Doctor Falls” immensely, but I had forgotten just how much. Paired with “World Enough and Time”, it makes what is definitely the best series finale of the Steven Moffat era. Of course, I’ve been frequently critical of Moffat’s finales, so this might not sound like a big deal, but in this case, it really is. It’s exciting and emotional. It is, in fact, one of very few (possibly the first) Moffat-written episode to make me cry. I find that Moffat frequently tries to go emotional but generally fails to build that emotion in a natural way. It’s too often forced. Yet in “The Doctor Falls”, everything comes together almost flawlessly. For once, there are characters that I actually care enough about to be affected by their fates. 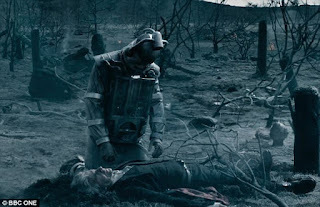 “The Doctor Falls” is also the perfect final episode for Peter Capaldi, bringing his Doctor’s character arc to a full and satisfying conclusion. It’s a bit unfortunate that it’s not his final episode, and his actual final episode is not as good. This is what I mean about later episodes affecting opinions of earlier ones. I don’t dislike “Twice Upon a Time” (and I will have a review of it in the next couple of days), but when I originally watched “The Doctor Falls”, I was left excited to see what happened next. Rewatching it now, I’m left thinking how much better it would have been if the regeneration had happened at the end of this episode instead of being held off for later. I’m treading into spoiler material here. Of course, after a year, spoiler warnings are possibly not as necessary, but I’ll put them up anyway. I still think the teasing of the regeneration in the opening moments of “World Enough and Time” is unnecessary (see my review for my expounding on that), and following that up with delaying it further just makes this even more so. It’s not exactly a fake-out like in “The Lie of the Land”, but it essentially does the same thing. We’re presented with something as if it’s happening, then told no, that’s not really happening. Of course, sometimes this kind of thing can make a very good story in its own right, but the problem here is partly that it has happened previously and also that it’s not really what the story is about. 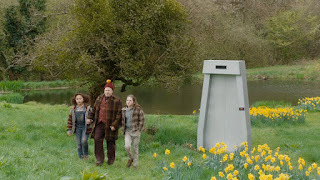 In both “The Lie of the Land” and “World Enough and Time”/”The Doctor Falls”, we’re treated to something that is a side-thought of the episode. That may seem a bit of an odd statement for “The Doctor Falls”, which is an episode specifically leading to a regeneration. How could it be a side-thought? The problem is the Doctor’s refusal to regenerate, which comes out of seemingly nowhere. I said earlier that the episode brings the twelfth Doctor’s arc to a satisfying conclusion, and it does, but it’s not perfect. The arc has had some odd jumps previously (with a rather inconsistent Doctor in Series 9), and this is another example. The Doctor’s incarnations each tend to think of themselves as the best incarnation, and they don’t want to change, but few of them actively resist it when the time comes. The tenth Doctor does resist, but this is an aspect of his personality—his vanity—that we have watched develop for quite some time. In the case of the twelfth Doctor, there hasn’t been any indication that he is so sick of changing that he would rather just die. The Doctor can sometimes seem to have a bit of a death wish, but never to the extent seen here. In the end, the Doctor’s refusal to change takes some of the impact out of what we’ve just seen. Instead of the Doctor going out in one of the most spectacular heroic sacrifices he’s ever made, he ends up walking away from the destruction around him, hurt but still able to head off on one more adventure before dying. It no longer feels like he’s made such a sacrifice (for the record, I find the tenth Doctor’s victory lap at the end of “The End of Time” to be just as annoying for precisely the same reason—his sacrifice would be far more emotional without it). When it comes down to it, though, this is the only major criticism I have of “The Doctor Falls”. I have some smaller ones, such as how the Doctor manages to blow up the entire Floor 507, including all the trees, structures, and Cybermen, but not himself and Bill. 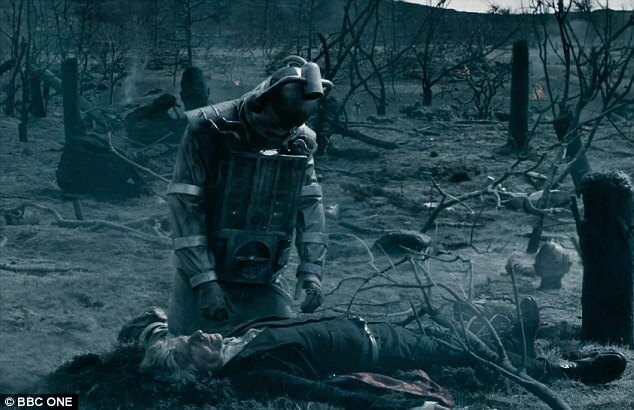 The other Cybermen are literally in pieces after the explosion, but Bill is not only in one piece, but apparently completely undamaged. It’s a minor point overall, but one that has crossed my mind every time I’ve watched that scene, both last year and now. But apart from a few relatively minor points like this, “The Doctor Falls” is genuinely a great episode, and the amount of good far outweighs even the issues I have with the handling of the Doctor’s regeneration. It’s good to see Bill get a bit more agency than she had in “World Enough and Time”. She still has to react to a lot of things forced upon her. She is stuck in the body of a Cyberman, told to stay away from other people, and told not to get emotional (a bit of a problematic trope for a black woman), but she does get opportunities to reclaim her agency as the episode progresses. In particular, she chooses to stay with the Doctor and gets him to agree. She also tells him in no uncertain terms, “I don’t want to live if I can’t be me anymore,” and the Doctor must accept this. I love how the episode handles Bill’s perspective as a Cyberman. Her initial waking up in the barn is an example of a good use of a fake-out. By first showing how Bill sees herself, the episode leads the audience to believe that she has somehow been miraculously cured. But unlike the fake regenerations, Bill’s perspective is the entire point of her storyline. Learning that she is still a Cyberman and her mind just hasn’t accepted this increases the drama of the situation in this case. It lets us experience the situation as Bill experiences it, and so we can much better empathise with her. 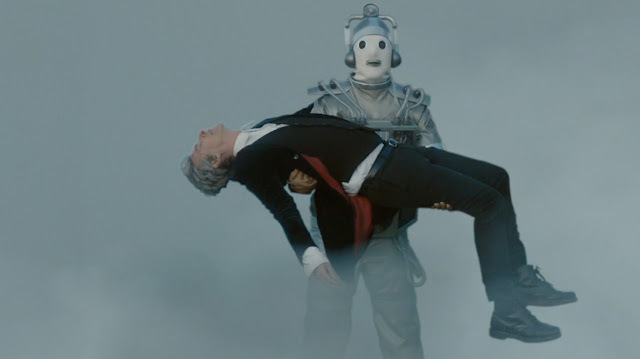 Compare this episode’s handling of a major character becoming a Cybermen with Danny Pink becoming one in “Death in Heaven” at the end of Series 8. That story presents the situation primarily from Clara’s perspective. While this isn’t a bad thing and it makes sense for that story, seeing it from Bill’s perspective this time around makes it much more visceral and far more impacting. There is a magical reset in the end, of course, just as I predicted. Steven Moffat never permanently kills major characters, and Bill is no exception. Her heading off to explore the universe with Heather at the end is very reminiscent of Clara and Me heading off together at the end of “Hell Bent” (repetition of ideas is another thing Moffat does a lot of). Yet I can’t deny that this is an incredibly sweet ending for Bill, and it bothers me far less than Clara’s delayed death. That said, it would be nice to see a companion leave the Doctor of their own volition for a change—to decide that it’s been fun, but they’ve had enough and it’s time to go home. In ten series of Doctor Who since its return in 2005, only one companion (Martha) has ever actually done that. Everyone else has had something horrible happen to them that has forced their departure. Maybe it’s time for a change? There are many things that I would describe as “highlights” of the episode, but one is definitely the interaction between the two Masters. The episode does a very good job of showing us the similarities and differences between both versions of the Master. Missy is the more empathetic, yet still devious version, while Simm’s Master is the one who simply glories in just how bad he can be. “This is the face that didn’t listen to a word you just said,” is the perfect Master-ly follow-up to the Doctor’s brilliant speech asking both Masters to stand with him. We see their similarities in how willing they both are to betray not just other people, but also each other. Missy and the Master killing each other in the end is really the ultimate expression of the Master’s character. The Master cannot be loyal, even to themself. This is all helped by the fact that Michelle Gomez and John Simm play off each other beautifully. Much as the Doctor and Bill both see resolutions to their series arcs, Missy’s arc comes to a conclusion here too. Throughout this episode and the last, we’ve seen the Doctor pulling her in one direction and Simm’s Master pulling her in the other. At the end, she chooses to stand with the Doctor, but dies for it before she can make her choice known to the Doctor. I don’t think I could’ve asked for a better end to her story. I don’t think the Master should ever be redeemed, but a version that comes close only to die at the moment of redemption (and not in a heroic sacrifice) is the perfect way to handle a redemption arc for the character. Of the major characters, that leaves Nardole. Over the course of Series 10, I came to really like him after not thinking much of him in his introduction in “The Husbands of River Song”. Nardole doesn’t have as much of a series arc as the other principal characters. There is an unfortunate tendency in post-2005 Doctor Who to treat one companion as the primary companion and any others as secondary whenever there’s more than one. As such, Nardole never receives the same attention as Bill, or even Missy. Nevertheless, what arc he does have comes to a satisfying conclusion here. He’s gone from being nothing more than comic relief to a noble character that the audience can care about. His final words with the Doctor and Bill are heart-breaking. The Cybermen are a bit disappointing in this episode. After wonderfully building up their body horror aspect in “World Enough and Time”, “The Doctor Falls” treats them as little more than cannon fodder. There are very few moments in the entire episode where any Cybermen (other than Bill) show up and don’t explode a few moments later. It lessens the feel of threat a little. To be fair though, the focus of the episode isn’t really the Cybermen; it’s the actions of the principal characters in the face of overwhelming odds. Exploding Cybermen allow the characters to do heroic actions while still being overwhelmed by the seemingly inexhaustible number of Cybermen. There are lots of great dialogue moments in “The Doctor Falls”, most notably his speech to the two Masters I mentioned earlier, but also numerous other moments, such as the Doctor using lines from his previous incarnations (“Sontarans perverting the course of human history” or “When the Doctor was me” amongst others) after waking up in the TARDIS. Perhaps the best, though, is while he’s lying on the devastated ground after blowing up the entire level: “Pity. No stars. I hoped there’d be stars.” Those would have been perfect final words for this Doctor. 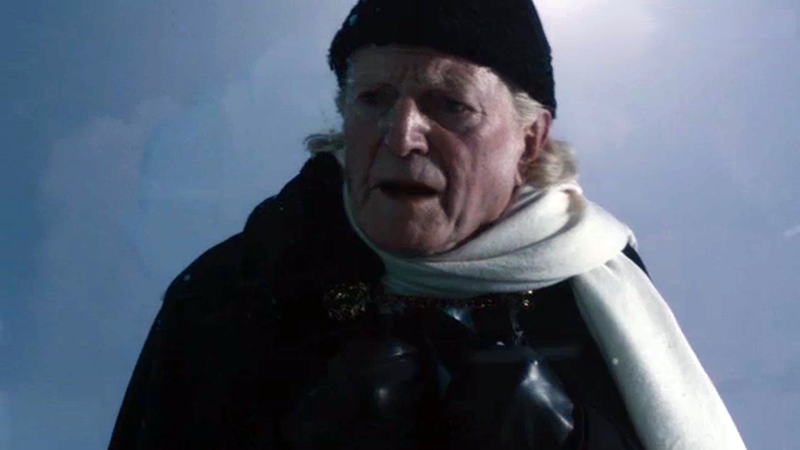 The episode ends with the arrival of the first Doctor, played here by David Bradley, who previously played William Hartnell in An Adventure in Space and Time. Given his performance in that, he is a natural choice to play the actual first Doctor. I’ll wait until my review of “Twice Upon a Time” before making any further comments on him, however. 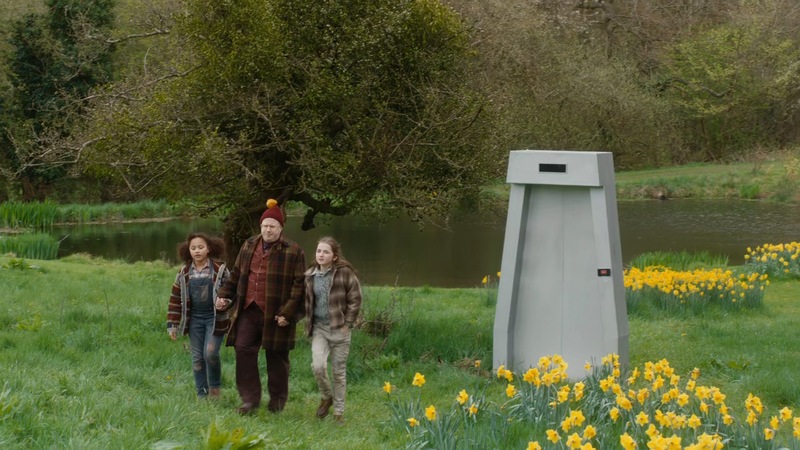 Overall, “The Doctor Falls” is a stunning episode, and combined with “World Enough and Time”, it makes for a great finale to one of the best series of Doctor Who from Steven Moffat’s time. If the Doctor regenerated at the end, it would remove its one major flaw and would make it one of the best regeneration episodes the show has had. Unfortunately, dragging the regeneration out to another episode does lessen this one’s impact—but only by a little. It’s an episode I can easily rewatch over and over again, and still be thrilled by it every time. Glad you like my reviews! Thanks so much!